Employees in many industries need two computer monitors to successfully display and interact with information they need to get the job done. To meet these needs, IT needs a flexible professional graphics solution that's compatible with the variety of displays and computing systems they happen to have on hand. 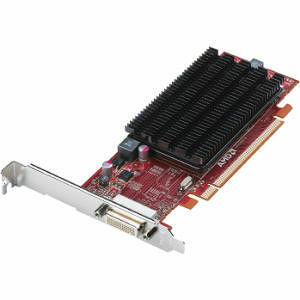 AMD FirePro 2270 professional graphics are capable of driving two 30" high resolution DisplayPort, DVI or VGA displays. Featuring a low profile, energy efficient design, the AMD FirePro 2270 can be deployed in a wide range of systems, from notebook docking stations to small form factor desktops to large tower workstations.